Sanhedrin Calls on President Trump to Uphold Seven Noahide Laws - Breaking Israel News | Latest News. Biblical Perspective. In an ancient and honored Jewish custom, the nascent Sanhedrin sent a letter to the new leader of the U.S., President Donald Trump, blessing him and calling on him to take the lead in restoring America and the world. 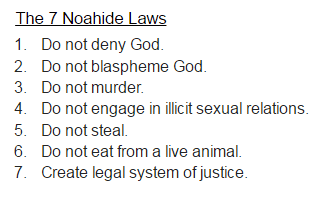 The Sanhedrin also called on the new president to acknowledge and uphold the Seven Noahide laws. 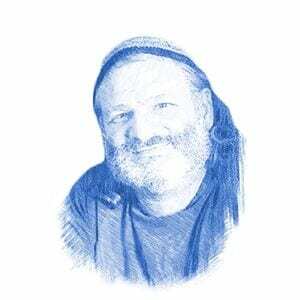 The letter follows the custom of the Jewish people to bless foreign kings as seen in a verse in Jeremiah, Rabbi Dov Stein, secretary of the Sanhedrin, told Breaking Israel News. Sanhedrin member Rabbi Yoel Shwartz expanded on the decision, pointing out the importance of Trump’s role. “We turned to President Trump because America functions as a world leader today in many things,” he told Breaking Israel News. “As such, we addressed the new president, asking him to fix things that Barack Obama broke, to bring back family values and to lead the war against radical Islamic terror. The prayer sent by the Sanhedrin to Trump is different from that usually recited by Jews living under foreign rule, Rabbi Stein explained. “There was a version of the prayer that was said by Jews living under foreign kings, to appease the king in hopes that he will not oppress the Jews under his rule,” said Rabbi Stein. The prayer is still said in synagogues around the world and begins with a verse from Psalms. As suggested by the verse, the prayer is motivated by fear that a monarch ruling over Jews in exile would turn tyrannical and oppressive to the Jews who, as strangers in a strange land, depended on the king’s good will. But the Sanhedrin blessed Trump in a different tradition of blessing foreign monarchs which existed in Biblical Israel. “We blessed him as an independent nation blessing a close ally,” said Rabbi Stein. The Sanhedrin then calls on President Trump to follow the Seven Noahide Laws, given by God as a binding set of laws for all of humanity. The Sanhedrin described the laws as a framework that will benefit all mankind. The Sanhedrin also urges the president to adhere to his campaign promise of renewed support of Israel, including moving the US embassy to Jerusalem, so that Israel can fulfill its Biblical role as a light unto the nations. “As an honorable President, you are aware of the importance of Israel as an ally, especially a cultural ally, of the United States. The whole world anticipates the instilling of Bible values – God’s morality given on Mount Sinai for all the world. “We must work together so that these values ​​will be the inalienable property of all mankind,” the rabbinical body proposes. The letter concludes with a final benediction for the world, but especially the two allies.